Errors are the inherent part of an electronic device such as the computer. No device can be free from errors as it displays useful information regarding unexpected condition about the device which needs user intervention. The computer itself does not show this kind of messages; it is only when an operation gets failed or to warn a user about less storage. They are the part of both hardware and software. Although it is useful to keep informed about the operating condition of the device, getting an error message is frustrating. Some errors are common, and usually, a user can deal with them without any technical support whereas some are specific that need technical help. What are the common error messages? Any user while operating the device may see an error message regarding access denial, file not found, low disk space or device not ready. These are the common ones. Low disk space- it occurs when the storage device of a system gets full or about to full. A user can deal efficiently with this error by clearing some space so that storage device can store more data. To make some space, a user can delete the temporary files, not useful files or that file which has already been backed up. File not found- a user may get this message when the required file is damaged or deleted or moved to any other location. It is also displayed when a user enters the incorrect name of the data. Device not ready- when a system is meant to perform any task that involves the use of a floppy disk, but the particular disk is either damaged or not inserted in the system, this error will appear. Access denied- a user will be denied to access a particular file because some other user prevents it and hence is locked. Out of memory- it is a common error that is displayed only when a user tries to download a file of larger size than the storage space. If space is insufficient then also the message will pop-up informs the user that system is running out of memory. To fix this issue, increase the memory space or release some space to store the desired file. It is an update error that appears when there is an issue regarding updates. Fixing it is easy. To fix it go to window services, in setting turn the automatic update, delete the update download to reset the update file. The component of windows update will be refreshed, and the error will be fixed. A pop-up message will appear on the screen when the device shut down due to power outage or due to premature shut down during updating windows. It will also display when the user does not have administrative access. It occurs because some services are disabled. It may also occur when the user uses a faulty virtual machine, or the configuration is incorrect. It is a type of network sharing and configuration error message. It occurs when the user tries to access the system which is either not connected to the network or is turned off. It may also occur when the user tries to access wrong network path. Check the network connection to fix this problem. If the computer cannot share a file then also you will get this message. Enable file sharing, and you can access the desired file from the desired PC. 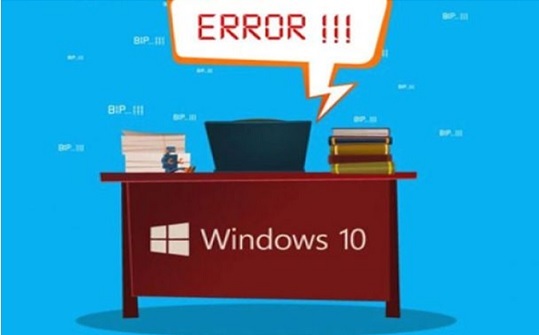 Another common window error is a boot type that appears during booting of windows. The common cause includes incorrect BIOS settings, faulty hard disk drive or missing windows boot files. One can easily solve this issue by checking the BIOS settings or ensuring that the boot drive is the primary drive. If this does not solve the problem, then reconnect the hard drive. You can also use a diagnostic tool. It will check the working of a hard disk drive. If the drive is faulty, then replace it. This type of message occurs when you don’t activate windows license or fail to do so. Sometimes even if your windows license is activated then also your system will show this message. It is because of incorrect time and date that is set on your computer or may be due to a failure of CMOS battery or due to motherboard error that shows this error. The key management service server of windows see the date and time of your OS at the time of validation of license. If it does not find a matched time and date, it will give you an error. The above five are some of the common errors that can make you frustrated, but now you can fix them as the solution is also mentioned above. Other messages that you may get is because of some unknown programs that installed on your device without your permission. Such programs are called as the virus, and they usually corrupt the system. All your files and data will be deleted automatically. At this point, you need the technical support from the professionals who can solve the issue. You can also avoid such problems by installing an antivirus program on your PC. There is a dedicated format for these errors. Either they appear in text format or as a part of GUI. They appear in a dialogue box. Not all of them prevent the working, errors that appear as notification icons notify user without preventing or stopping them their work. In different OS, they are displayed in different place. For example- a window user will receive it in system tray whereas a MAC user gets it in a menu bar. However, getting an error message is frustrating, but now user can fix them on their own to some extent without others help. © 2011 Tech Senser - Technology and General Guide . All Rights Reserved.